New! occupy Educated online library here! TakeTheSquare.net An international network, with participants from all over the world, organized to stablish a global network of citizen activism based on the #15M ideals. General Assembly Process Guide A booklet of very useful information produced by the Santa Cruze General Assembly. You can get a print version here. MayFirst is offering free web hosting to Occupy related websites. May First/People Link is a politically progressive member-run and controlled organization that redefines the concept of “Internet Service Provider” in a collective and collaborative way. Just go to https://mayfirst.org/joinus to fill out the form and describe what work you are planning to do. They’ll set up a domain for you, which comes with email accounts, lists, and full server access on encrypted disks. Do take into consideration, Mayfirst support is a group of members that are volunteering time to assist you and this will take more time than a traditional commercial server. However, your site will be protected on a server ran by people who are invested in activism and understand the value of security for sites involved in the movement. Livestream is offering free streaming to Occupy groups, all you have to do is write to the editors of globalrevolution.tv at operations@globalrevolution.tv to request a channel. Through Livestream, you’ll be connected to a network of streaming Occupy channels worldwide. The idea is to be able to easily move from one stream to the other similar to www.occupystream.com . UStream will also provide ad-free streaming, contact events@ustream.tv for more information. If you already have or prefer a UStream account, you can opt to have it ad-free. Along with streaming video, you’ll want to have someone to help moderate the chat room of your video channel. Please read about moderator training in this post. If you aren’t familiar with what a listserv is, it’s essentially a group of email addresses that can mass email each other in an organized manner. This is beneficial because you can engage in a group conversation without having your inbox flooded with hundreds of emails! To be added to a listserv all you need to do is send a blank email to the address. Depending on the settings of the listserv, you may have to be accepted. You can edit your settings so that you’ll receive an abridged summary of the emails in the day or you can visit the group page at any time. This is something that is getting more and more use. If you are not familiar with IRC, you can read the how to guide here . Most Occupy Wall Street related channels are going to be at chat.indymedia.org you can chat through the browser or download an IRC client like Colloquy for mac or mIRC for windows. This is essentially a voice chat room. That can even be used on a mobile phone. See instructions for using this tool here: www.occupyglobal.net The voice chat room can be broken down by location or used on a worldwide scale. I will refrain from insults, swearing, and threats, and will withstand the anger of others. I will refuse to respond to verbal or physical assaults. I will protect others from insults or attack. I will follow the directions of designated coordinators. In the event of a serious disagreement, I will remove myself. I will not run or make gestures that seem threatening. My attitude will be one of openness, friendliness, and respect towards every one, including police and opponents. If arrested, I will behave in an exemplary manner. I will not evade the legal consequences of my actions. I will not damage property. I will not bring or use drugs or alcohol. I will not carry weapons. To pursue peace, we must model peaceful behavior. Nonviolence is both good strategy and likely to attract others to our cause. Discuss potential trouble ahead of time so that you can respond quickly. Read and commit to this pact, alone or in a group. Stay calm. Be aware of your power to affect others. Assess the situation and seek help if necessary. Stay together. If a few individuals are being loud or confrontational, attempt to talk with them. Manage trouble. Surround and try to calm violent people. Protect any one being attacked. Show that you don’t support violence by separating yourself. Ask others to join you. Make eye contact, calmly sign or chant, listen, avoid heated arguments, link hands, sit down. Use non-threatening body language, humor and common sense. What started as “Occupy Wall Street” has quite literally turned into a worldwide movement . People across the country and the globe are picking up signs and gathering together to protest greed and corruption. The movement remains most pronounced in the United States where the common rallying cry is, “We are the 99%”, referring to the distribution of wealth at the top 1% of the population. But at these rallies, some people aren’t leaving of their own accord; they are being carried away by the police. There are YouTube videos popping up every day that show arrests bordering on brutality. In the initial days, a NYPD administrator in a white shirt could be seen pepper spraying a crowd who had done nothing but exercise their right to protest. The protests strive to be completely peaceful, though it seems as though the cops are sometimes the ones disrupting the peace. Scanning the headlines of major city publications, you can find that scores are being arrested on any given day. Earlier this week, 100 were arrested atOccupy Boston , more than 20 in Denver , and more in San Diego, New York, and other American cities. These arrests are largely being made in the name of crowd control and keeping the peace and are largely being made on people who have never been handcuffed before. So, what should you do if you are arrested at an Occupy Wall Street , Occupy Atlanta , or any other Occupy protest? When being arrested, particularly if you believe the police have no legitimate reason to arrest you, it can be difficult to remain calm. Many acts of force by the police are in response to the arrestee resisting, wiggling around, or mouthing off. This doesn’t necessarily make the force justified but it certainly doesn’t help you make the case that you are an innocent victim of police brutality. The best piece of advice to heed when you are being arrested is to remain calm. You may not like how you are being treated and you certainly won’t like the fact that you are being arrested, but physically resisting the arrest will only make things worse. You have the right to remain silent and you have the right to refuse consent for a search. Yes, even when you are arrested, you have rights. Most arrests being made at these protests are likely to fall under disorderly conduct statutes. While the exact wording of this crime varies from state to state, it often includes things like the impeding of traffic, failure to disperse after being given an order to do so, creating annoyance or alarm in public, and even loitering. Most of the time this is a misdemeanor charge with the potential for jail time and a criminal record. It seems no matter how peaceful a protest is, when the number of participators swells, the likelihood of arrests also grows. While it is our right to peacefully protest, it is also within the job description of the police to look for reasons to maintain an “upper hand” and strategic arrests certainly remind protesters who is, in fact, in charge. If you are arrested at an Occupy protest, you will likely be taken to the jail, booked, and possibly released or held for an arraignment hearing. You’ll likely be facing a criminal charge and discussing the case with an attorney is your best bet at understanding those charges and any options that may be available to you. If you are insistent on getting back on the streets to Occupy and protest more, be aware that every subsequent arrest could bring you harsher penalties. If you aim to act in civil disobedience, it wouldn’t hurt to put someone on alert that you may get arrested. You could even get the I’m Getting Arrested app that will send a text message when you are getting cuffed. The majority of people protesting at these movements will not end the day in handcuffs; they will either go home or snuggle down in their sleeping bags on the cold pavement. But for those that are arrested, understanding your rights and the limitations of those rights when you disobey the law is crucial. These methods were compiled by Dr. Gene Sharp and first published in his 1973 book, The Politics of Nonviolent Action, Vol. 2: The Methods of Nonviolent Action. (Boston: Porter Sargent Publishers, 1973). The book outlines each method and gives information about its historical use. You may also download this list of methods. Source: Gene Sharp, The Politics of Nonviolent Action, Vol. 2: The Methods of Nonviolent Action (Boston: Porter Sargent Publishers, 1973). Mediation/Negotiation in its best form found its glory every day at 7pm in Occupy (Portland, Oregon) as the voiceless (99%) got together, mediated, negotiated, their next move, their next plan as a unit. The unwashed were awesome! To them mediation was organic and effortless. Egalitarian group consensus was their process and process was not up for debate. As a professional mediator it was a privilege to be there as a witness to ongoing events. For instance it was against the law of the parks department to have a microphone set up without a license so the group leader would say something and the whole audience repeated the words so all could hear. This was true group unity for the benefit of all and it was wonderful to witness. Eventually we had district attorneys, police, news media, high income, those pegged as the 1%, that ask, “What is Occupy anyway? What are their (those voiceless 99%) goals, their focus? ” It seems that the mediation/negotiation tactics of Occupy scared the beegeezs out of those who did not get what the movement is/was about. The simple act of gathering every day and voicing concern was powerful and misunderstood. To me, Occupy is asking that old question that pops up from time to time, “Has society had enough of the same old, same old? Have we had enough of polarization and the conquer and divide strategies of politics and business? Is it time for a major change? It seems this is an opportunity for mediators to be poised and ready to address these deep chasms of conflict. We as mediators might be wise to follow the pure selfless motives and intent I saw practiced at the Occupy site. Portland’s pepper spraying incident where Elizabeth Nichols was being pepper sprayed in the mouth by a cop polarized the community even more. (Lynne Terry, OregonLive.com) I had an opportunity to attend a general meeting and offer some ideas on the conflict between the police and community on this issue. On one hand there were Occupy movement marchers, mostly students, who were focused on the greed of the banking system, lack of jobs, injustice of university financial aid kickbacks, homelessness, lack of housing for the poor, etc. and on the other hand the police ordered to do their job to keep large crowds on the sidewalk which was hard to do. I was at that march, on the front lines. It was peaceful, large, loud, and busy but absolutely non-violent on the part of the protestors. Nevertheless, Elizabeth got pepper sprayed directly in the mouth. 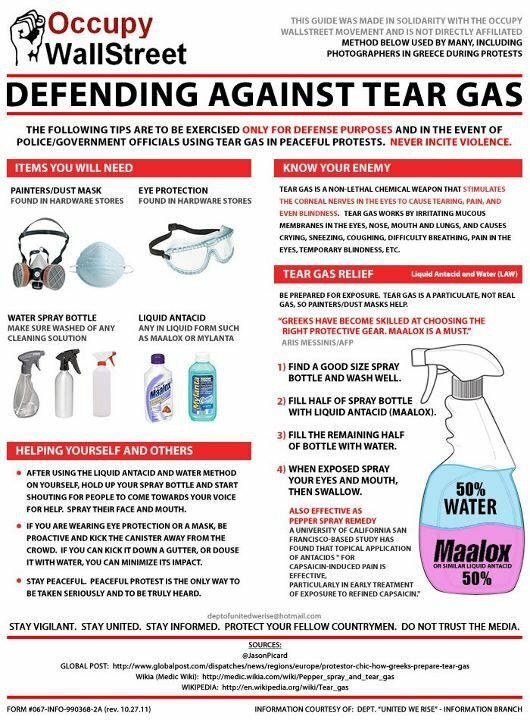 (Lynne Terry, OregonLive.com) This produced a movement within Occupy movement (Mothers Against Pepper Spray) http://www.globalpoetry.net . MAPS is where mothers, grandmothers, women of all ages and from many places are discussing the use of violent tactics against peaceful civic protesters. My opportunity to take contact with the police, as a member of the police review board, and continued ongoing involvement with Occupy Portland gave (and is giving) a great opportunity to use my mediation skills to help bridge the gaps and continue ongoing dialogue between both groups. Of course that gap is still large but little by little things are getting sorted out. Occupy has the guts to march the issues to the surface and insist they be addressed and the police are learning to do their job with more response rather than reaction. Portland’s activist community keeps pressure and gives feedback on police violence and demands accountability and change. As a result Mayor Sam Adams and Police Chief Mike Reese worked directly and consulted with Occupy liaison spokespeople regarding serious issues over a span of several months. Occupy was instrumental in bringing these issues to the surface of consciousness and, as of today, is giving the general community an ongoing chance to investigate better choices. The police in Portland, unlike other cities this size, became examples nationally of progressive community policing. They are open to ongoing community feedback, are continuing to look for ways to do a better job and are using better judgment when they have to restrain protestors. Their patience and openness is appreciated by all involved. The Occupy Wall Street movement seems to me to be an extension of what we used to do in the 60’s. Back then we (activists) wanted social change, were warning people to gain more human and transparent values and pointed out there would be no peace if certain things didn’t happen. We failed due to lack of unity, lack of equality of women, racism, naivety on polarized political issues and absence of World Wide Web. It’s winter here, it’s cold and rainy. Occupy’s tents are down and gone. The police are busy doing their job. Streets are less noisy but Occupy is not going away. Occupy’s continuing focus is to give voice on what needs to change. Soon the weather will get warmer and Occupy will become more active. Mediators, get ready—here they come. nice! May I re-post this on Occupy Cyberspace?